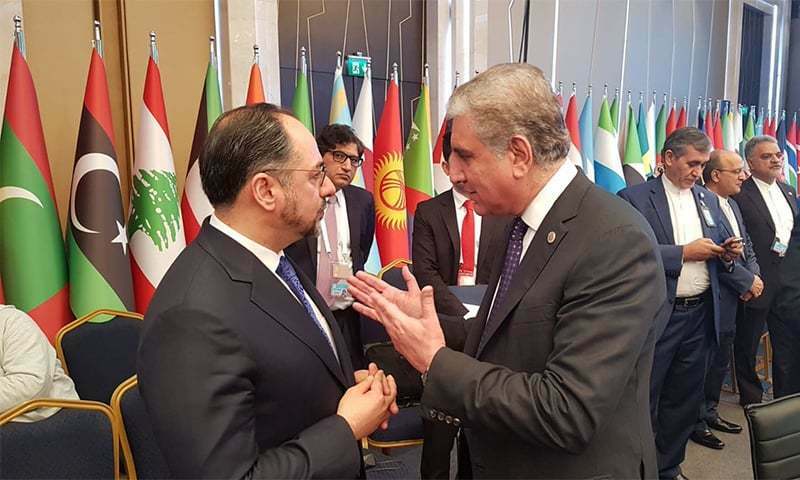 Foreign Minister Shah Mahmood Qureshi at an emergency meeting of the Organisation of Islamic Cooperation (OIC) Council of Foreign Ministers in Istanbul on Friday suggested a comprehensive global strategy to tackle rising Islamophobia. The meeting was called to discuss the causes, impacts and way forward in the aftermath of the New Zealand terror attacks targeting two mosques in Christchurch, in which 50 Muslims, including nine Pakistanis, were killed by a 'white supremacist' during Friday prayers last week. Foreign ministers from over 20 countries participated in the meeting, alongside representatives from international organisations, including the United Nations and the European Union and Organisation for Security and Co-operation in Europe. New Zealand's foreign minister, Winston Peters, also attended the session. Speaking on the occasion, Peters reassured Muslims living in his country that they would be "safe and secure". "Ensuring Muslim communities in New Zealand feel safe and secure is a particular focus," he told attendees. "We place great importance on freedom of religious belief; attacks on Muslims are attacks on all of us," he asserted, adding that the country's largest police investigation in history had been launched into the recent mosque attacks. In a conversation with media following the conclusion of the session, Qureshi was pleased to announce that a joint communique by all the members had been issued which contains six proposals — four of whom were put forth by Pakistan. "All four of our proposals received uniform acceptance and I would like to put these forward before you," he said. "The first proposal was that the scope and definition of terrorism be broadened. And the imposition of sanctions should not be limited to entities such as Al Qaeda, Daesh, etc — though those are important in their own right — but those elements which reek of Islamophobia should also be included in the list of those sanctioned. "Our second proposal which came under discussion and was then accepted was that a special session of the United Nations General Assembly be held on the topic of Islamophobia. "The third proposal we put forth was that the OIC secretary general should play a role in the removal of content on social media that is linked to Islamophobia and should devise a strategy to deal with how it incites hatred and how it can be tackled immediately because such content is leading to extremism taking root. "The fourth thing that was proposed was that a special rapporteur be appointed who monitors Islamophobia and presents recommendations on how to counter it. "So all four of these proposals by Pakistan have been incorporated into the joint communique. I am very happy I mentioned these in my speech," he said in conclusion. In his speech during the session, Foreign Minister Shah Mahmood Qureshi said the Christchurch attack had shed light on a number of alarming trends ─ the mainstreaming of anti-Muslim sentiment by the rise of populist politics in many western countries; the undermining of a culture of respect and tolerance through narratives of exclusion and bigotry, and the implementation of anti-immigration policies by some in the west. He reminded attendees that the attack was not an "isolated act of a lone maniac". "What happened in New Zealand is a grim reminder of the tide of Islamophobia sweeping the world. Every bullet fired by the terrorist was an assault on the values of pluralism and diversity that underpin modern multicultural societies," Qureshi stated. "It was an effort to resurrect a view of history based on reprehensible and unacceptable notions of racial superiority. It was the culmination of years of deliberately orchestrated prejudice against Islam and Muslims, in which the mainstream media has regrettably played a crucial role," he said. Qureshi described the attack as a symptom of an "insidious, widespread and deadly" malady. "Today, symptoms of this disease are writ large on the face of many societies. It is writ large in the manifestos of far-right parties that call for expulsion of Muslims, in attempts at creating walls and barriers against displaced populations, in the politicisation and censorship of the hijab, in the vandalising of Islamic symbols and sites, and in attempts at incitement in the name of free speech through deliberately hurtful caricatures and competitions," he continued. "It is writ large in the growing racial profiling and stigmatisation of Muslims, particularly where Muslims are in minority, and in such blatantly racist agendas as the White Supremacists', or the more subtler notions of the 'White Man’s Burden'," he said. 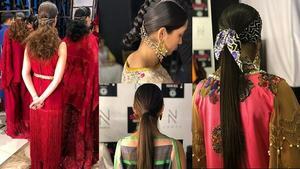 Qureshi explained that the acts are not restricted to western countries alone. "Pakistan's eastern neighbour, a self-professed friend to many of those sitting around the table, prides itself in its democratic and secular credentials. In practice, it is anything but." The foreign minister discussed systemic discrimination, and the social, political and economic marginalisation and humiliation of Muslims in India "at the hands of the Hindutva brigades". "Mob lynching of Muslims in the name of cow protection and attempts at Muslims’ forced conversion are commonplace, as indeed is violence against other minorities including Sikhs, Christians and Dalits. "In Indian-occupied Jammu and Kashmir, extra judicial killings, staged encounters, sexual harassment and use of pellet guns against unarmed protesters are a norm. Recently, an Indian court exonerated Hindu terrorists who had confessed to killing 68 people, mostly Muslims ─ including 44 Pakistanis ─ on a train in India." "There exists no United Nations architecture that can proscribe such individuals or address terrorism posed by Hindutva ideologues or white supremacists," Qureshi pointed out. The foreign minister called for introspection and concerted, collective action considering the current climate. Firstly, he said Islamophobia must be called out for what it is "the fruit of the same poisonous tree that yields other forms of discrimination, including racism, anti-Semitism, and Apartheid." "The moral ambivalence of those who treat Islamophobia as a less perverse form of discrimination is false and must end. It was telling how some used carefully chosen words to characterise the Christchurch attack. Islamophobia can neither be denied nor dismissed, it must be confronted," Qureshi asserted. "We must effectively push back against the rising tide of populism that aims to ride its way to political power by stoking hatred against Muslims. Unity within our ranks is imperative to confront, counter and combat this trend," he said, adding: "We must debunk the pernicious fallacy of associating Islam with terrorism. Neither are all Muslims terrorists, nor are all terrorists Muslim. To operationalise our responses, I would suggest that we gear ourselves to a more proactive approach. It is time we came up with a global strategy to combat Islamophobia." Championing strengthening of international obligations enunciated in existing UNGA and OIC Resolutions on Religious Intolerance. This includes calling for a plenary meeting of the UNGA to seek, among other things, a comprehensive regime outlawing Islamophobia; Supporting the UN secretary general's plans to develop a system-wide plan of action against hate speech and crimes; Proposing a comprehensive overhaul of the UN counter-terrorism listings framework "that goes beyond Al Qaeda to include terrorists all colours". Creating a united front against Islamophobia by engaging not just governments but also civil societies, religious and community leaders, academia and the public at large, and countering 'alternate facts' by presenting real facts and creating support within western societies. 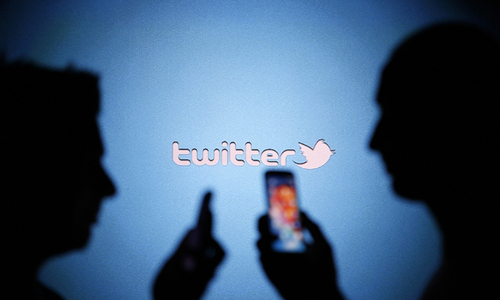 Strengthening collaborative partnerships with social media platforms to prevent dissemination of anti-Islam content. "We must steadfastly resist all attempts by purveyors of hate to spread their toxic message in any garb or guise," he explained. Strengthening OIC’s own regimes to monitor and counter anti-Islam, anti-Muslim propaganda. "We can do so by scaling up OIC Observatory Reports to collect data and identify perpetrators in real time. 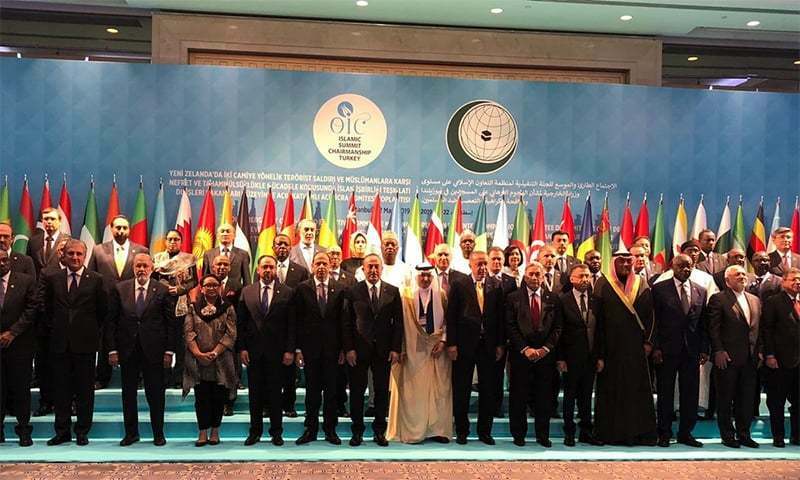 OIC must then: Spell out specific corrective and pre-emptive measures required to be taken; Call out Individuals, entities and states that consciously and consistently orchestrate hate; Leverage our collective economic potential to sanction Islamophobes," he said. Institutionalising mechanisms within OIC to report and safeguard rights of Muslim minorities. The OIC must publish regular reports mapping large scale atrocities on Muslims in non-OIC countries and occupant territories, and sanctioning state-sponsored acts of terror. Continuing to root out hate, extremism and terrorism within our own ranks and in our own societies. "Just as we wish others not to attack Islam, we must ensure, in our own interests, that our countries are not used to attack others," he said. "Perhaps the most pressing need is for the Muslim fraternity [...] to forge unity and cohesion in its ranks. We cannot bring back those killed in Christchurch, but we can dignify their memory by acting resolutely and collectively against Islamophobia, misinformation, hate speech and hate crime. "We must act to address underlying causes of marginalisation, armed conflict, inequality and discrimination against Muslims. We must not let hate win." OIC Secretary General Dr Yousef Al-Othaimeen also addressed the meeting, describing the Christchurch attacks as "a turning point" for Muslims. He stated that Muslim nations would not be deterred from taking steps to curb such violence. "Intolerance on the basis of ideology and racism have emerged as a major threat to global peace and security in our world today. Amidst these conditions, Islam and Muslims in many countries are subjected to defamation of their religion and humanity. They face growing negative stereotyping, racial discrimination and right-wing populist calls denying basic Muslim human rights," Al-Othaimeen said. The OIC secretary general highlighted reports by the OIC Islamophobia observatory, which concluded that hatred and intolerance against Islam had reached a disturbing level of frequency over the past few years. 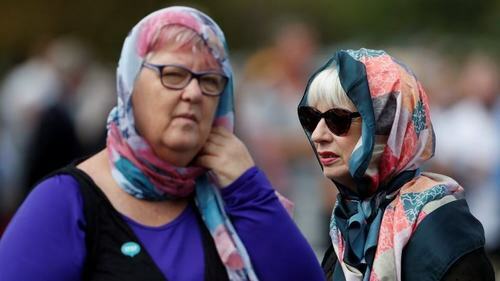 "This is clear in the pervasiveness of negative rhetoric against Islam and in incidences of attacks on mosques, Islamic centers, individuals, Muslim communities and women who wear Islamic dresses," he said. Al-Othaimeen said the Christchurch terror attacks had sent a message to the world that hate speech, intolerance and Islamophobia are threats to the security of stable communities. "This incident shows us that terrorism has neither religion, race or nationality," he said. The OIC chief said hate speech and intolerance, and the terrorist incidents they engender, are inspired by ultra-right ideologies which have been gaining popularity over the last 20 years. "These have led to a global wave of populism and the unprecedented rise of ultra-right and anti-establishment parties. "The common thread in all of these populist political parties is Islamophobia," he said, pointing out that their supporters had been growing "at unprecedented levels". "We cannot close our eyes to the activities that incite hatred and violence perpetrated by intolerant groups and individuals, no matter who they are and what religion they profess. We must take into account that positive cooperation amongst us will isolate extremism and intolerance, no matter their source," Al-Othaimeen asserted. "What happened in New Zealand is despicable and has dangerous implications for the world. This terrorist attack has shocked and hurt the sensibilities of Muslims and the entire humanity. Whatever the motives behind this attack, its perpetrators deserve the severest forms of punishment," the OIC chief stated. 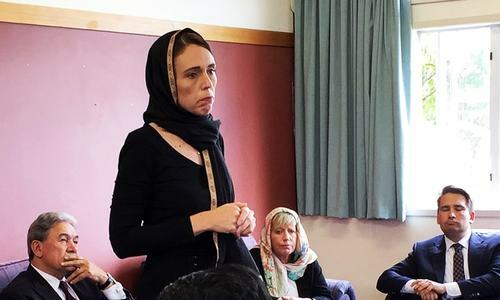 Al-Othaimeen appreciated the government of New Zealand for taking "necessary steps" by launching an investigation into the attack and providing its full support to the Muslim communities in the country. "We must also mention the importance of decisive legislation about cyberspace which has been turned into an arena for breeding extremist ideas," he added in his statement. Turkish President Recep Tayyip Erdoğan addressed the meeting saying that OIC could not be indifferent to events threatening the future "of all humanity and the Islamic world". "When it comes to fighting against cultural racism and Islamophobia, it is the main duty of the Western states, but we as Muslims must also handle this topic more seriously," Erdogan told attendees. "Western media organisations will continue to fuel anti-Islam hate unless we put the truth into words, even if it is painful. We must express our grievances with courage, we should move with unity, and also confront and search for solutions together," he asserted. "Western media outlets, in particular, should make a serious self-criticism. Politicians that open the way to power for themselves by marginalising Muslims and demonising refugees should pay attention their discourses," he said. Erdogan thanked New Zealand's authorities and citizens for "showing truth" and their firm stand against the terror attacks. 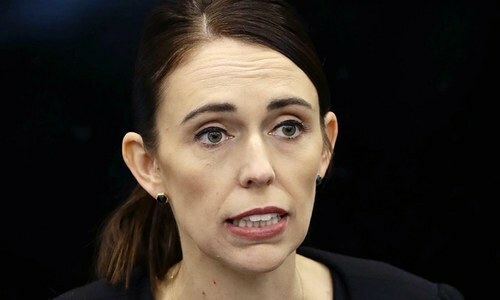 He praised Prime Minister Jacinda Ardern's reaction to the attack, calling it a model for all leaders. "Humanity should fight Islamophobia with the same determination with which it fought anti-Semitism," Erdogan stated. He said far-right neo-Nazi groups should be treated as terrorists in the same way as Islamic State militants. Turkish Foreign Minister Mevlüt Çavuşoğlu praised New Zealand authorities and their "sincere solidarity messages". "We are here to show we are one body against Islamophobic actions across the world," he asserted. He vowed that Turkey would speak up and take practical steps against all hate speech, violence, and terror and called for the establishment of a body within the OIC tasked with dealing with hate crimes and terrorist acts against Muslims. "No religion or belief can be defined by violence and terror," he said, adding that peace is at the heart of Islam. Terrorism has no language, religion or race, Çavuşoğlu said, urging action to stem Islamophobic hate speech. "The attacks in New Zealand are a turning point for Muslims and we will not be deterred from taking steps to curb violence," the Turkish foreign minister asserted. In the end, a joint statement strongly criticising terrorism will be issued without an action plan to dispel such mence, as a joint task force required to identify terrorists financiers, masterminds and its supporters. We have to take stingent action against them and expose them - I can name three countries who are involved and encourage terrorism in the world for political gains. No price for guessing! (Gharib Awam ki Awaz). WHen will they discuss uyghur situation in China?? @Zak, ..how about china muslims ? @Zak, Any comments on leaders like Xi Jinping and Aung Suu Kyi? 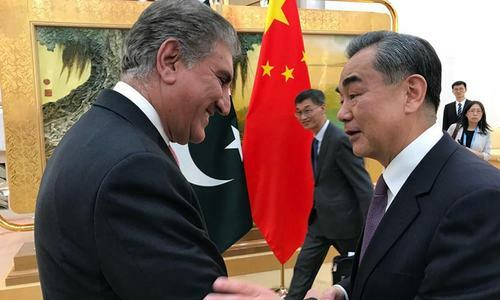 Why Qureshi did not mention China.. This puts question mark on credibility of excercise ..
China is missing, double talks. @Citizen , wortied about IOK. Its coming. @Sha b, Chinese muslims are alive, kashmiris in Indian occupied kashmir are not. China has no mass graves near army barracks like indian army bases in IOK. Indians are worried. IOK is up for first report. Also add, report must be discussed on OIC state media, so their public becomes aware of the perpetrators. So what is OIC’s strategy about preventing Israel from annexing Golan Heights? @Zak, so what is OIC going to do about it? @Bipul , Aung sung was involved in murder of Rohyngas but China has not killed but detained and now the camps have been closed on advise from friendly countries. No mass graves in China like in IOK. Come with a resolution in the UNO. He is a busy man mostly trying to justify his salary! Absence of Sushma Swaraj in the event says it all!